Here’s a photo kindly sent in by Peter Bond. It captures members of Hoylake RNLI on a recent March, but can anyone tell me what the occasion was? 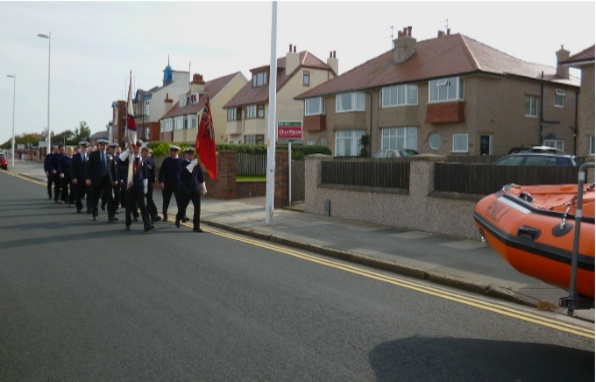 This was Hoylake and West Kirby’s annual Lifeboat Sunday parade, we walk from the Lifeboat Station to St Hildeburghs church for a service this year given by the Reverend Paul Rossiter, the timing of the service is dictated by the neap tides.